I think by now you all know I love a good salad. Salads are my favorite thing to make and eat. This chopped Thai Salad is so darn good. 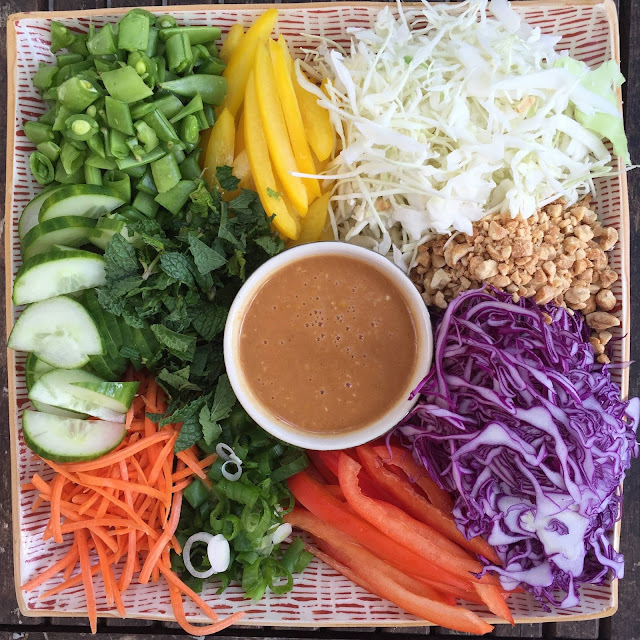 The crunchy veggies paired with the slightly spicy peanut butter dressing is such an amazing combo. I came across the recipe on Pinterest and made w few changes. 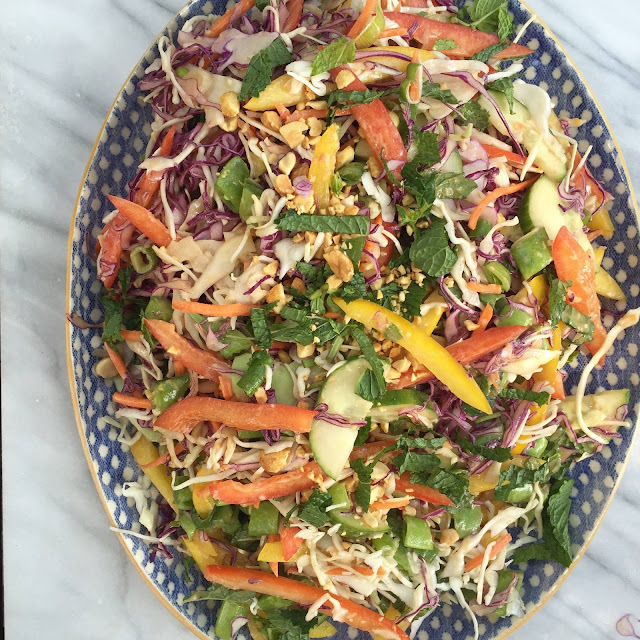 Since the veggies are crunchy this salad will save in the fridge for a few days without getting soggy. I do recommend not using all the dressing at once if you plan to save it. I ate this for lunch but if you wanted a heartier meal this would e great with some chicken or shrimp. It is a great end of Summer salad and way to use up veggies in your fridge! Place all dressing ingredients in a blender and puree. Pour over chopped veggies and toss. Serve with chopped peanuts and extra chopped fresh mint and basil on top. I wanted to mention the Nordstrom Clearance Sale started today. Stuff goes fast so shop early! Below are a few of my women's favorites. I will round up kids, men and home favorites later this week. This dress and this dress I own and are great! That salad looks perfect! Cannot wait to try it.And I agree,adding chicken or shrimp could really make a hearty meal.